Mobile Car Wash and Auto Detailing serving the entire Los Angeles County. 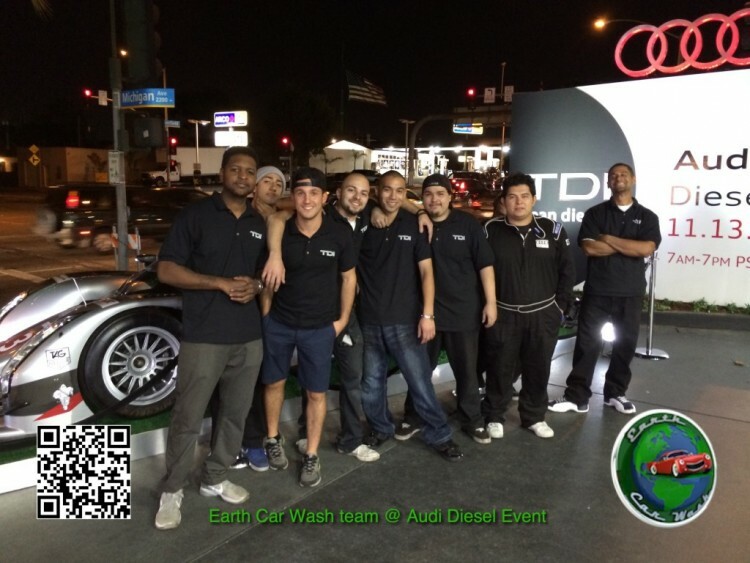 It’s hard to find a good car wash. That’s why our services are 100% satisfaction guaranteed. We are confident that we will meet and exceed your needs. When you guys showed me my car after it was cleaned, the first word that came out of my mouth was….”WOW”. The clean really exceeded my expectations and I was completely satisfied with the results you produced. The car looks almost like new now and I’m very happy with the compliments that I’ve been receiving from some of my friends on the condition of my car. You have made it really convenient for me, by coming directly to my work. This is what I call top service. For the first time in a long time I felt like I received more than the value of the living social deal. The guys at Earth Car Wash did a fabulous job on our car and she never looked better! Thanks again. What is Earth Car Wash ? 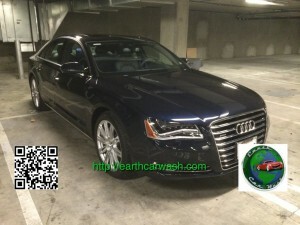 Earth Car Wash is the best mobile car wash in Los Angeles. We wash or detail your car at your home or office. On top of that, our technicians only use green supplies for your safety. For more information about us, please see our detailed page. 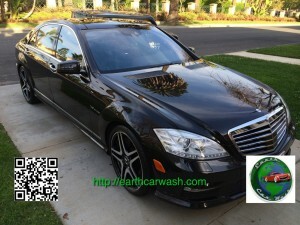 All of our technicians are professionals with experience with car cleaning. Every tech has been background checked, vetted, and thoroughly trained to make sure that all of our services will leave you 100% satisfied. Booking is simple through our online system. Our technicians will arrive on-time to wash or detail your car! Get started here. What times can I book your service? We are available 7 days a week from 7am to 6pm. Because the service is booked on a first come first serve, there might not be some times available, but once you choose your time, we will confirm your appointment via email and text message within 30 min. Should I be present during my car wash / detail appointment? You can if you would like, but it isn’t required. You will only need to unlock the car for our technicians and get back to do what you enjoy. Is Earth Car Wash self sufficient? Absolutely! Not only use green supplies (and some organic), but if you have some supplies you would like us to use, feel free to let the cleaners know. Our units will also be equipped with a generator and all the necessary tools and chemicals. Yup! For your health and the health of our technicians, we only use 100% green washing supplies and organic products for the interior. We can also detail your car interior with no chemicals at all. On request, we can steam clean your interior. We accept payment via credit card on site or our website as well as checks and cash on site. All of our payments are processed through Paypal and Intuit, one of the worlds most secure credit card processors. All transactions are encrypted for your security and we do not store any credit card numbers. You can reschedule your cleaning at any time. Simply call (877) 557-7737 or text (424) 256-6414 with your name and zip code. Unfortunately, if you cancel your cleaning within 24 hours of your appointment time, there will be a $25 cancelation charge.